Ever since great-grandpa Cretors invented the popcorn machine in 1885, the Cretors family has been perfecting the art of popping corn. Five generations later, they still use authentic ingredients to give modern families the tasty treat. G.H. 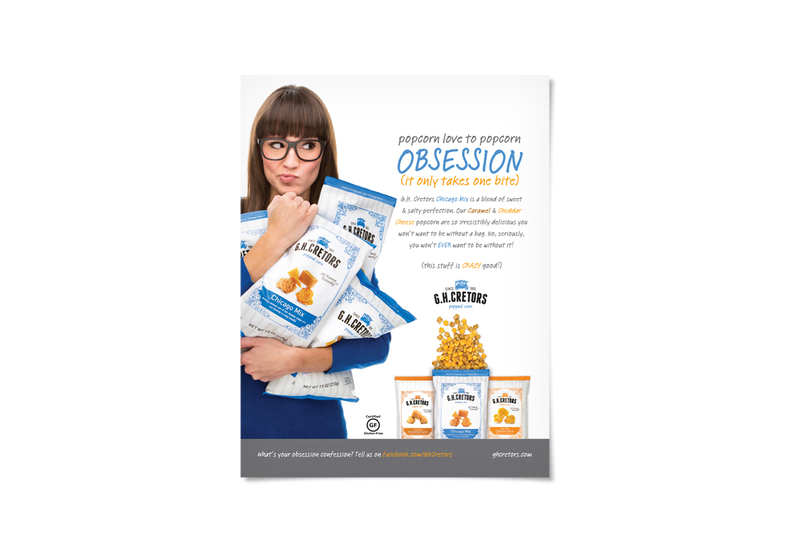 Cretors Chicago Blend popcorn is so good you might not want to share, so we developed a consumer-facing ad campaign with that exact tone. For the ad campaign aimed at the grocery retail buyer, a movie poster look positioned G.H. 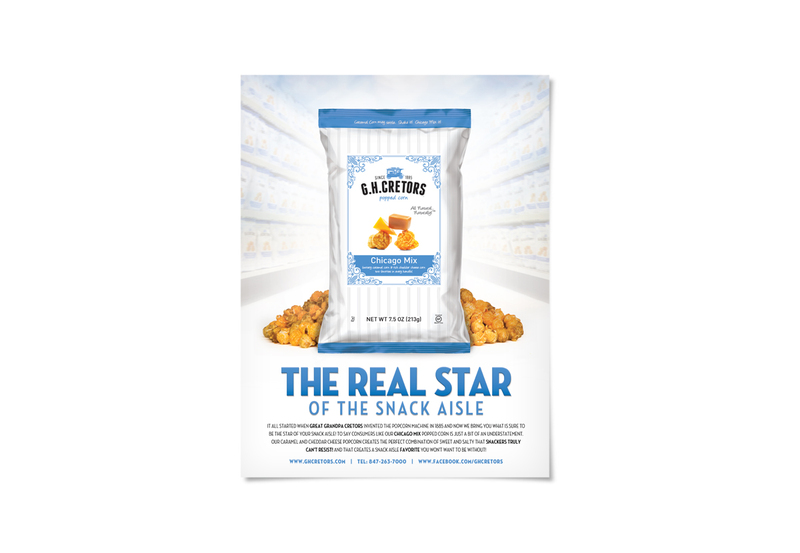 Cretors popcorn as a true star. Cretors’ history of irresistibility makes it the perfect mix.